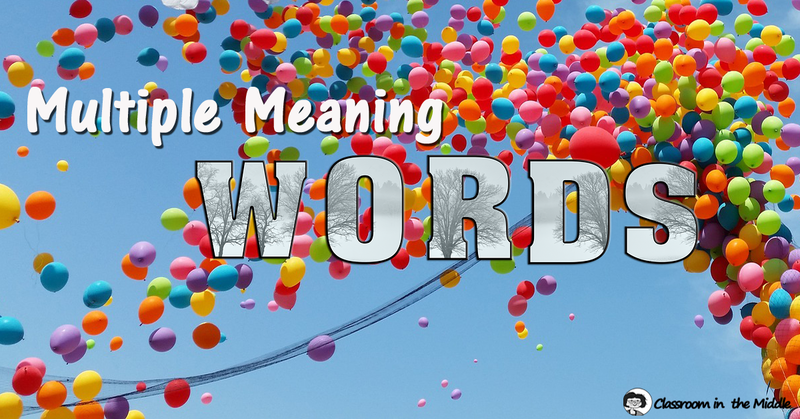 At first, kids learn that words have a meaning, one meaning, so it’ no wonder that multiple meaning words can be confusing for students when they first encounter them. 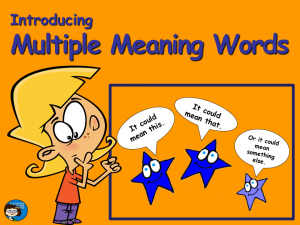 But, once they get the idea, understanding multiple meaning words can be a big boost! 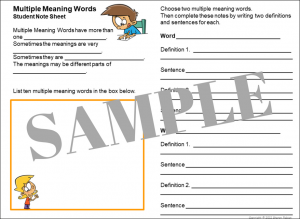 Students who recognize multiple meanings of words have an easier time reading fluently and have better comprehension. Learning about multiple meaning words doesn’t just involve understanding the concept. 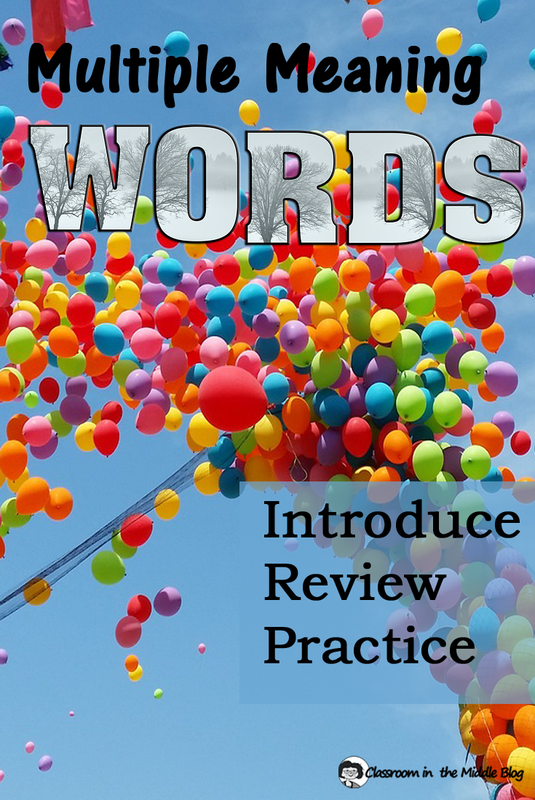 It also involves practice with lots of words, because in the case of multiple meaning words, more is better! 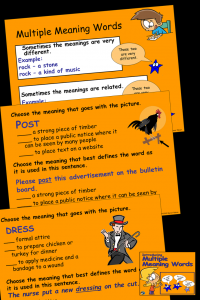 Today, I would like to share some of my ideas both for introducing multiple meaning words and for increasing students’ store of these little gems. 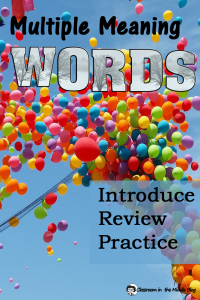 For introducing a new topic, whether it’s a completely new skill or one of those language arts skills that we “introduce” nearly every year, I like using a presentation that provides good information and examples and also includes a little whole-class practice. In addition, I like the idea of putting a fill-in note sheet in the students’ hands so that they can complete it as they view the presentation. 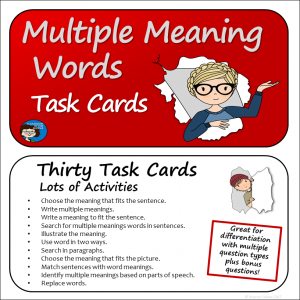 For everyday classroom activities, with an almost endless number of variations, nothing beats task cards! They’re great for whole class games, for group activities like centers, stations, and group work, and for individualized practice. Games like Scoot and Footloose are classroom favorites. Another favorite use of task cards is choosing just the right few cards for individualization. 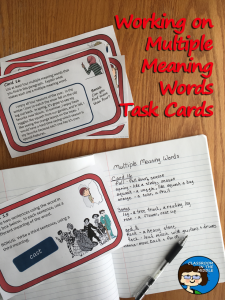 This image shows a few of the cards from my newest set – Multiple Meaning Words. Sometimes, you just need more practice. 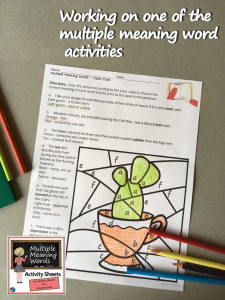 Practice sheets with a variety of activities can be fun and engaging for students whether they are working together as a group or focusing on their own individual work. 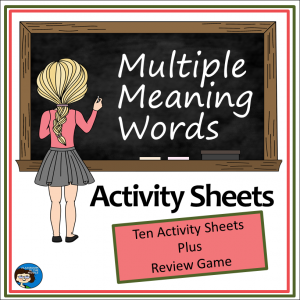 In this set of activity sheets, I’ve included fun elements like riddles, picture questions, and color coding, as well as a fun two-team review game as a bonus!